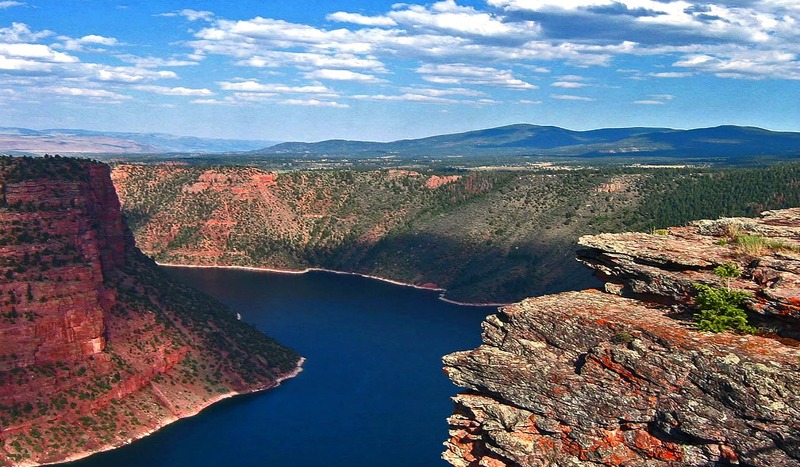 Flaming Gorge National Recreation Area, a wild country located on Utah and Wyoming border, invites you for your next outdoor adventure. Overshadowed by famous Utah’s national parks, it remains unknown despite its breathtaking scenery. With an outstanding red rock landscape magnified by its reflection in the 91-mile reservoir, the area is a photographer’s paradise. Here you will find a true escape to nature, so pristine that your only distraction will be the song of the birds. 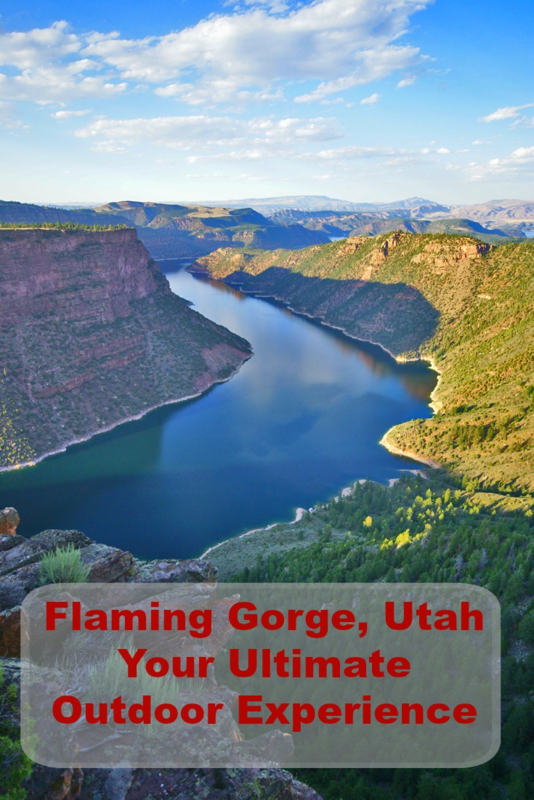 I discovered Flaming Gorge National Recreation Area when planning a family road trip to Yellowstone from Pennsylvania. I made it an overnight stop on our way home. What I remember from that visit is not only the area’s unique beauty but also its almost hypnotic silence, very much welcomed after often overcrowded Yellowstone. Located in the middle of nowhere, the gorge slows you down. The roads are empty and the scenery invites to take breaks. 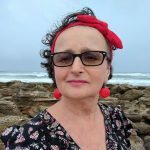 It feel like the time had stopped and there are no places to rush to. I can’t imagine a better location for a pure relaxation. The Flaming Gorge NRA is located in the northeast corner of Utah and the southwest corner of Wyoming, between Green River and Rock Springs, Wyoming and extends into the Uintah Mountains towards Vernal, Utah. The closest metropolitan area is Salt Lake City, 230 miles west. The most picturesque part of the area is found in Utah, and can be easily reached from I-80 to the North. This is the area we concentrated on during our visit. In Utah, you can discover a true splendor of a desert. With five national parks: Zion, Bryce, Arches, Capital Reef, or Canyonland, the state is an ultimate destination for a red rock lover landscape. 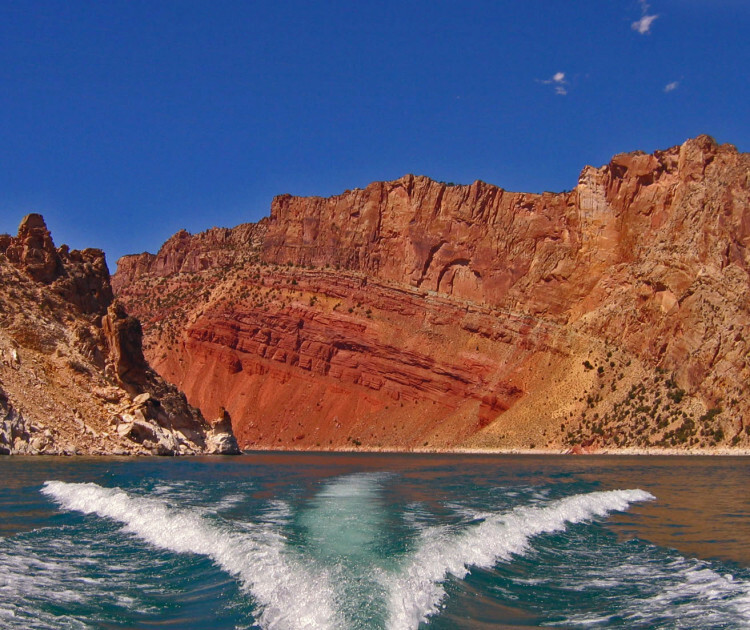 It is hard to impress when you need to compete with these famous parks, yet Flaming Gorge stands on its own. Why? 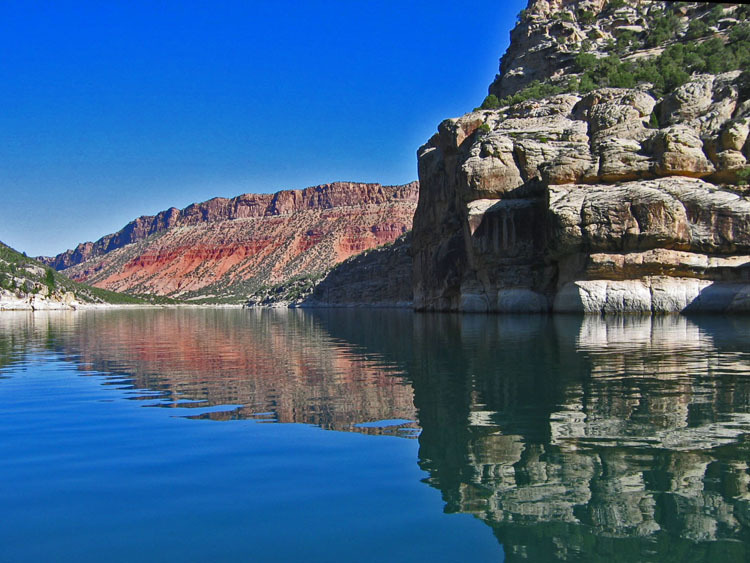 Because it has what these parks don’t – a huge body of water – Flaming Gorge Reservoir on the Green River, which not only reflects its surrounding beauty, but also opens the door to variety of recreational opportunities. The high elevation of 6,040 fee at the reservoir keeps temperatures moderate, at around 80 degrees Fahrenheit, during the summer months unlike in other desert areas of the region where 100 F and above is common. The best part? This is a desert so the rain will not spoil your vacation. Quaint communities of Manila and Dutch John, Utah offer motel accommodations and other services for traditional vacationers.For those wishing to stay closer to nature, 43 campgrounds with 700 individual campsites and 27 group sites are spread over nearly 360 miles of shoreline. We stayed at Red Canyon Lodge at the heart to the area, near Red Canyon Visitors Center. Here the log cabins match perfectly with their serene surrounding and provided a perfect oasis for relaxations. Dining, fishing, and bike rental is available on the site. At night you can sit outside and play the cards or simply watch the stars above you. Overall, beautiful place and top location within walking distance to the rim. The area’s mixture of climate, topography, and recreation opportunities is well suited to a variety of summer and winter activities. 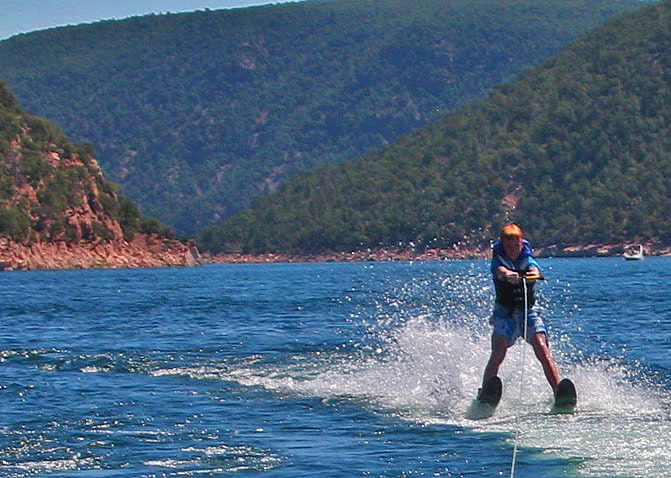 The reservoir provides varied recreational activities such as boating, waterskiing, parasailing, swimming, and fishing. It is famous for its trophy trout fishing. 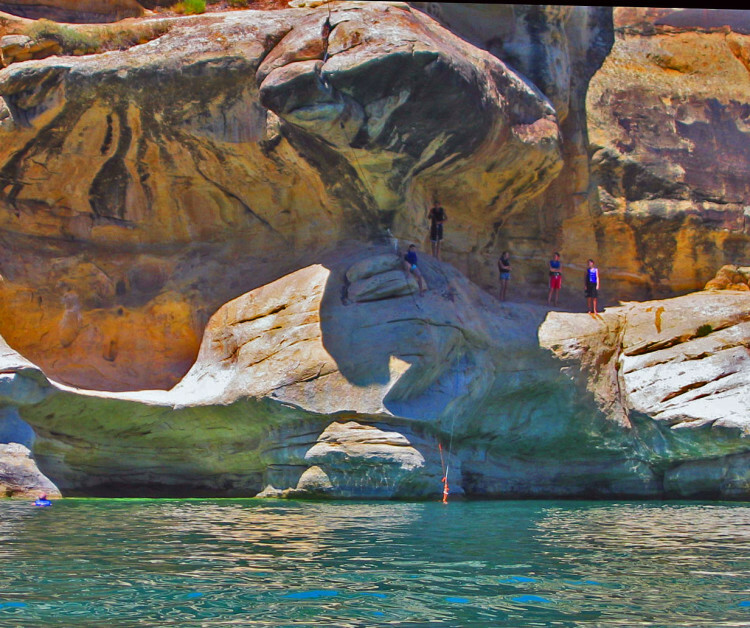 Below the lake, the Green River is renowned for trout fishing and rafting. Boating is a must to truly experience the area. We rented a pontoon boat at Cedar Springs Marina and spent a spectacular day on the water. The scenery was magnificent. Rocks reflecting in the water created vibrant tunnels of colors. Every turn delivered a new beautiful image. In places, the shoreline was curved with charming little coves perfect to park the boat and spend a few hours swimming, picnicking, fishing, or simply exploring your own natural playground. 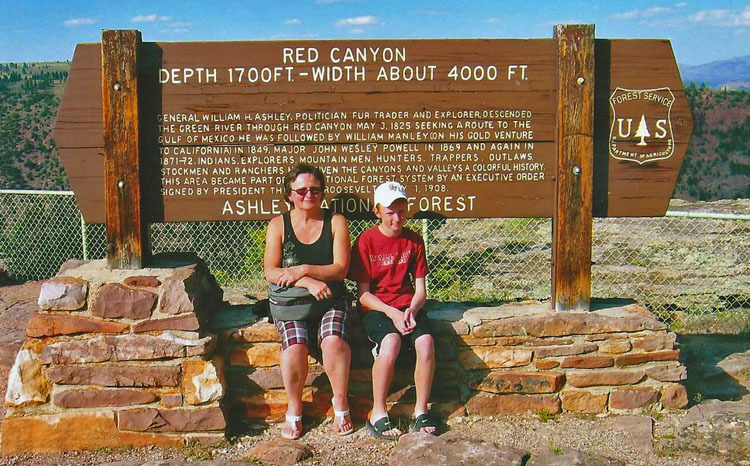 Start your visit at Red Canyon Visitors Center for incredible views and then follow Red Canyon Rim Trail which provides terrific views of the lake 1,700 feet below. The best time to walk the trail is at sunset when you can witness the canyon living up to its name – Flaming Gorge! There are many other hiking trails available. Maps can be obtained at the visitors center. 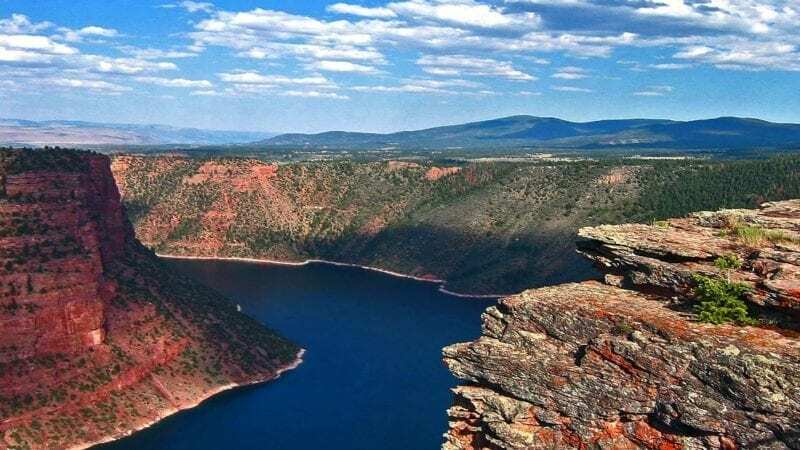 The deep red canyons of Flaming Gorge have long been a favorite destination for water sport enthusiast but more recently the trails along its rim and in the surrounding mountain hills became popular with mountain bikers. See other fantastic outdoor destinations in nearby Arizona, The Wave and famous Arches National Park in Utah.